Durock is a trade mark of United States Gypsum Company (USG), producer of Durock tile backer board, Sheetrock wallboard and other drywall products, as well as products for other industries. 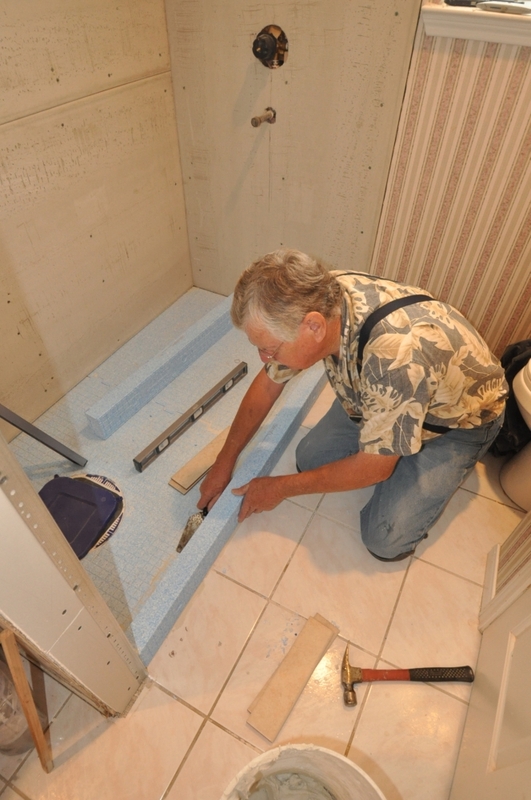 The main elements of the Durock Shower System are a waterproofing membrane, preformed foam shower floor and curb and a specialized surface bondable drain. Add-ons include benches and shampoo niches. There is also a foam tile backer board that can be used on shower walls instead of the sheet membrane. 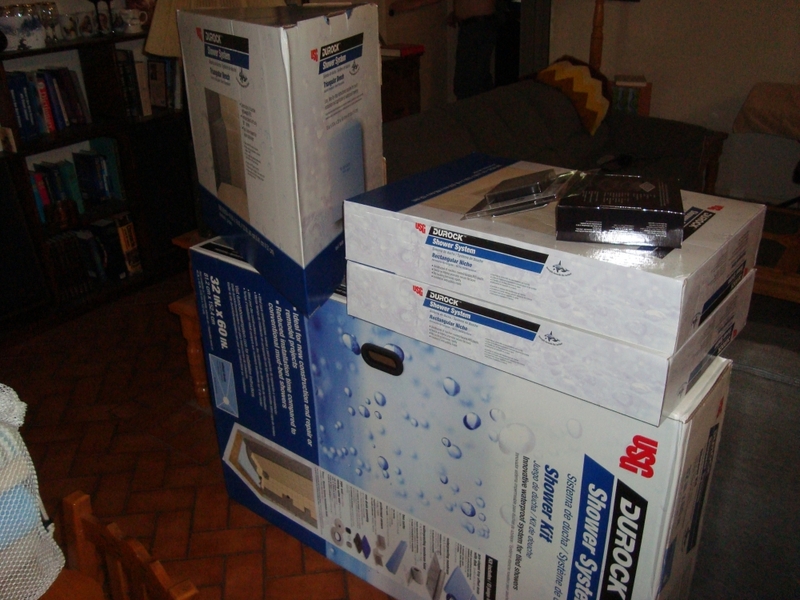 The idea of using a membrane to create a completely waterproof shower is not new. The Kerdi shower system, composed of a sheet membrane and a surface bondable drain, was developed by Schluter Systems more than twenty years ago and remains a top contender in an expanding field. 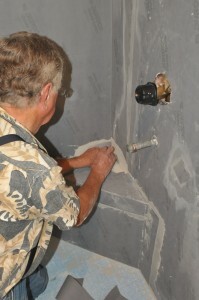 I specialized in building and tiling Kerdi showers for eight years before retiring in 2010. The Durock system takes shower building a step or two in a different direction. 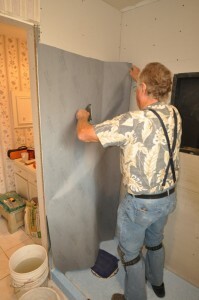 The membrane itself is thinner, making installation easy, especially when bending it into tight corners. Also, the necessary buildup of layers at seams is considerably thinner than when other membranes are used, and that makes the tiling of walls that are straight and true much easier. Despite its thin composition the Durock membrane is exceedingly strong and puncture resistant. 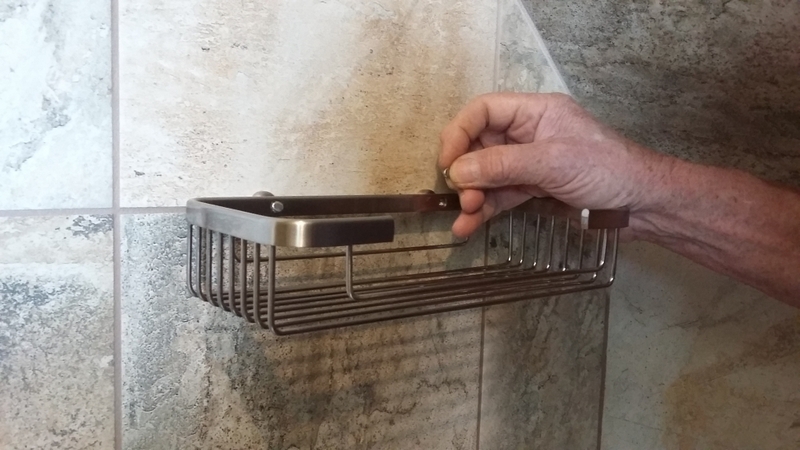 The Durock shower drain is versatile and well thought out. 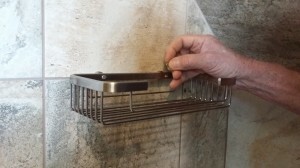 The drain body installs easily, and drain grates come in nearly fifty designs. 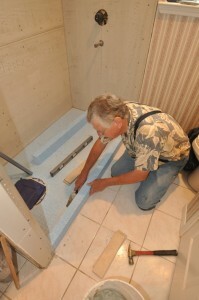 In all, the Durock system simplifies tile shower building for pros and for do-it-yourselfers alike. 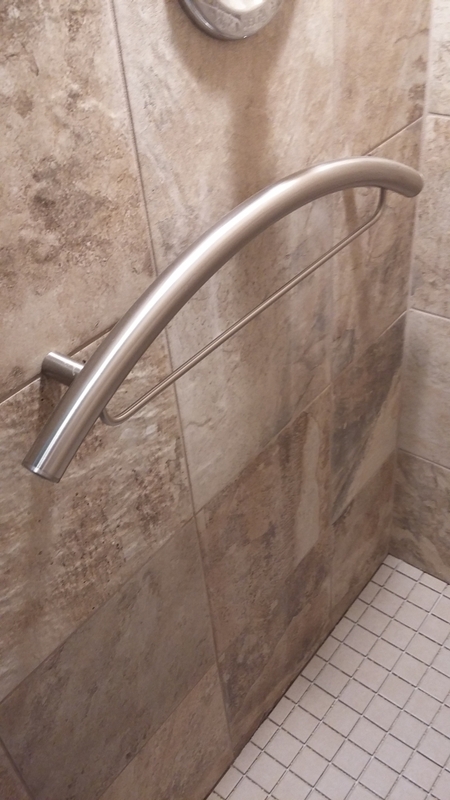 I am in the process of producing an illustrated e-book that will explain the intricacies of completing your own Durock shower step by step. The book will be made available in the Tile Your Wold Store. 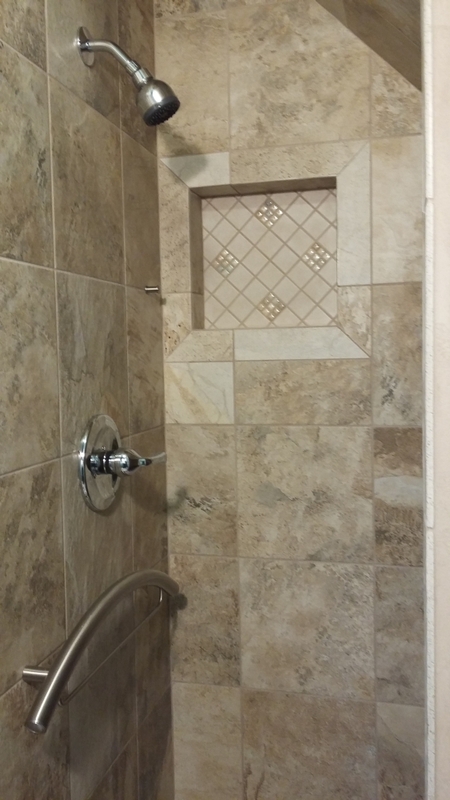 In the meantime you can ask questions and get prompt answers on the John Bridge Tile Forums. 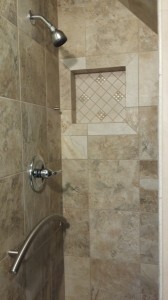 The metal fixures shown in the pictures below are from Tile Ware Products. I strongly recommend them. You won’t find better ones anywhere.